After over 20 years as a writer Kiini Ibura Salaam is fascinated by all the backstage psychological wrangling writers go through to sustain their careers. With a regular column on writing, Kiini has written almost 100 mini-essays exploring the nitty, gritty of what it takes to sustain a writing career. Salaam’s “Notes from the Trenches” series takes an inside look at everything from the psychology of being a writer to the logistics of sustaining a writing practice to the business of writing. 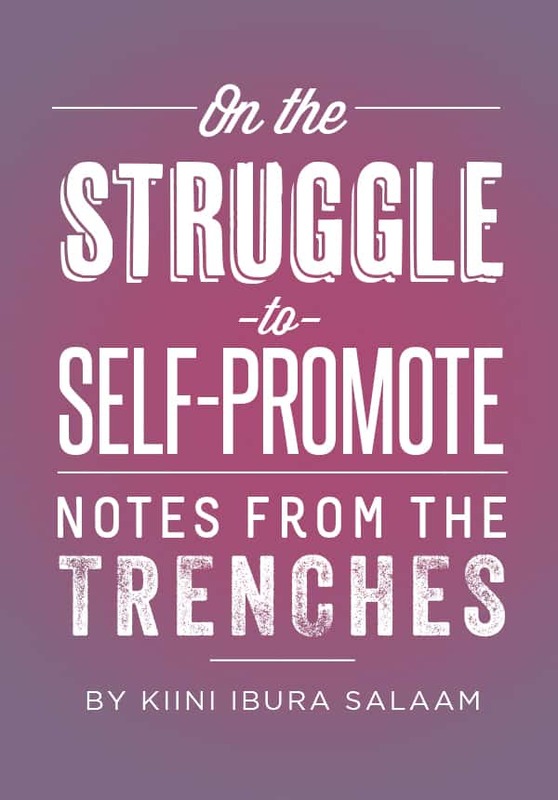 In this volume–On the Struggle to Self-Promote–Salaam shares the perils, pitfalls, and challenges of self-promotion, while suggesting approaches to viewing self-promotion as an act of honoring and sharing your artistic creations.